Engineers are narrowing down possible causes for an intermittent problem with the camera on NASA's Galileo spacecraft that may be related to effects of Jupiter's radiation belts. The spacecraft signaled an alarm from the camera system three times while Galileo passed close to Jupiter from Dec. 28, 2000, to Jan. 1, 2001. Each time, the camera either restored itself to normal functioning or was restored by commands from the ground. The incidents appear to be related to a single similar event five months earlier, and the underlying cause may be cumulative exposure of electronic components to the intensely radioactive environment near Jupiter, said Dr. Eilene Theilig, Galileo project manager at NASA's Jet Propulsion Laboratory, Pasadena, Calif. Galileo, now in its sixth year of what was originally planned as a two-year mission orbiting Jupiter, has weathered more than three times the radiation dose it was designed to withstand. "We are able to clear the fault by power-cycling the instrument -- turning the power off and on -- and reloading its memory. The fact that the camera can fix itself without our intervention is puzzling but provides valuable information to analyze what is happening," Theilig said. Engineers have examined a small sampling of the camera data recorded while Galileo passed through the inner portion of the Jupiter system in late December. The sampling indicates that more than half of the 120 pictures taken during that encounter period were captured properly, including all the ones taken Dec. 28 as the spacecraft flew by the moon Ganymede during an eclipse. In pictures taken while the camera fault was present, however, images are blank, as if entirely saturated with light. The first transmissions of complete images from the encounter will come later this month. Experiments at JPL with an engineering model of the camera system are aiding analysis of events on the spacecraft. The main suspect is an amplifier in the circuitry that processes signals from the camera's CCD (charge-coupled device), a light-sensor grid akin to the ones in video cameras. "The investigation is continuing," Theilig said. "When we get a better understanding of the fault and what triggers it, we should be able to identify some workarounds, such as planning ahead to power-cycle the camera at appropriate times, so we can minimize the impact to our imaging objectives." Galileo's next encounter will be a flyby of Jupiter's moon Callisto on May 25. 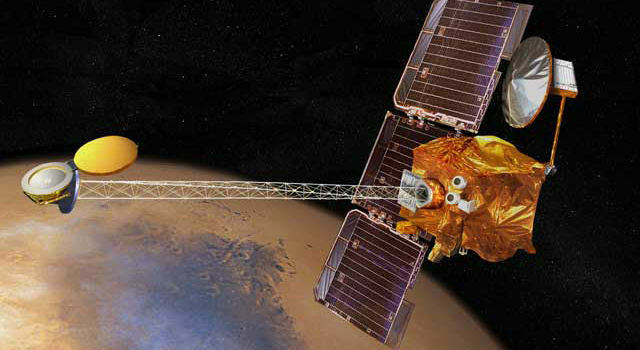 Additional information about the mission is available at http://galileo.jpl.nasa.gov . 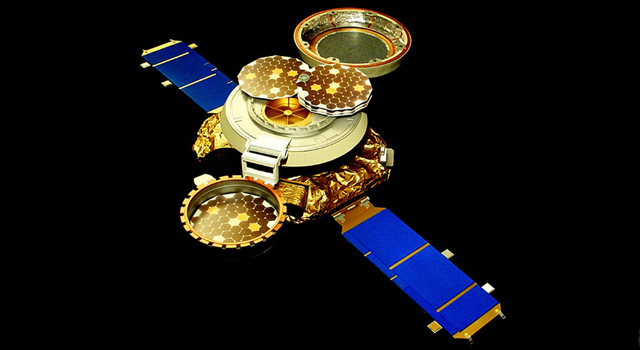 Galileo was launched in 1989 and began orbiting Jupiter in 1995. JPL, a division of the California Institute of Technology in Pasadena, manages the Galileo mission for NASA's Office of Space Science, Washington, D.C.